Hi! My name is Tamsin and I am first and foremost the wife of an outdoor enthusiast and devoted mom to two precious (and very different) little girls, who continue to teach me new things daily. I am also an Occupational Therapist and owner of Movin’ Mountains Therapy Centre. My work is more than just a job for me. It truly is a passion and I love nothing better than seeing all the wonderful families that I get to work with every day, and moving with them through the journey towards living well and doing that which they love to do. I grew up in South Africa and graduated from Stellenbosch University in 2003. I have worked in South Africa and The United Kingdom, before moving to Canada in 2008. I have been lucky enough to spend my days with children and their families for the past 14 years, and have focused the majority of my post grad training in sensory processing and regulation, and the impact that it has on our day to day life experiences. This includes mentoring by Dr. Lucy Jane Miller at the STAR Centre in Denver, Colorado, training in Dr. Stanley Greenspan’s DIR Model, and Dr. Ron and Kate Minson’s Integrated Listening Systems. A little bit about me: I love being with my family and friends, whether we are hiking, biking, exploring, camping, dancing, wakeboarding, skiing or just hanging out around someone’s kitchen table over a good potluck dinner! My quote stems from life experiences that have taught me that everything really does boil down to the basics. 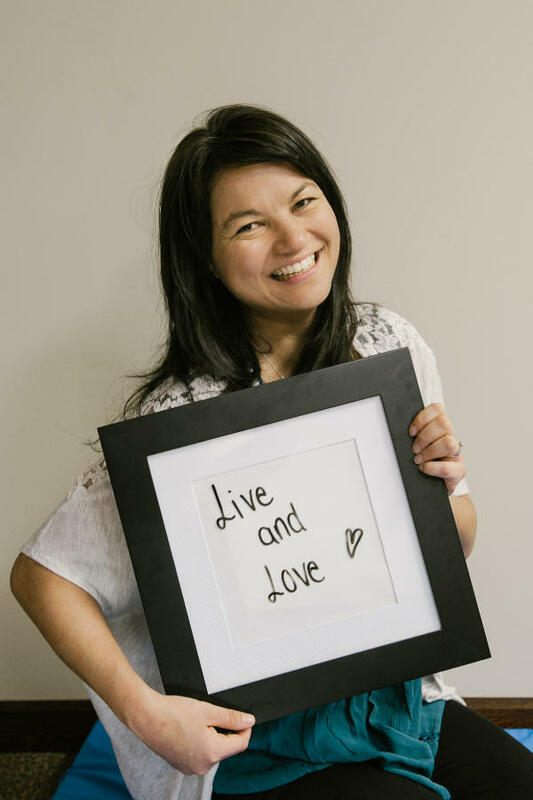 “Live and Love” is infused in every aspect of my life; whether I am living fully and loving fiercely, or whether I am inspired by all the children and families I meet every day who move their own mountains to live well and do that which they love.